Acknowledged author Josef Müller-Brockmann wrote Grid Systems in Graphic Design: A Visual Communication Manual for Graphic Designers, Typographers and Three Dimensional Designers (German and English Edition) comprising 176 pages back in 1996. Textbook and etextbook are published under ISBN 3721201450 and 9783721201451. 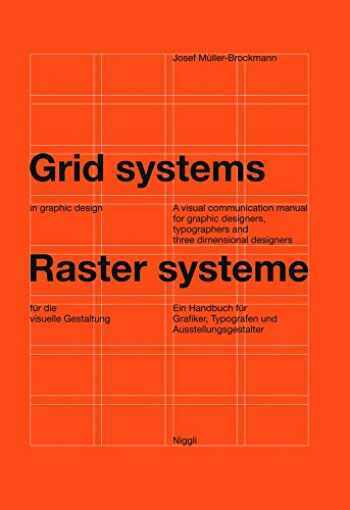 Since then Grid Systems in Graphic Design: A Visual Communication Manual for Graphic Designers, Typographers and Three Dimensional Designers (German and English Edition) textbook received total rating of 3.5 stars and was available to sell back to BooksRun online for the top buyback price of $13.89 or rent at the marketplace.